Fireplace is the urban interpretation of a campfire. 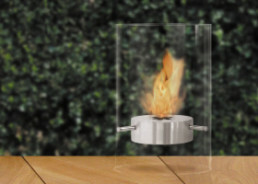 The ethanol fireplace, designed by Wolf Wagner in 1996 as a student, is suitable for indoor and outdoor use. The particularly safe Ponton multi-chamber burner system has proven itself to this day. Ponton is the first mobile fireplace to be one of the design icons on the market. 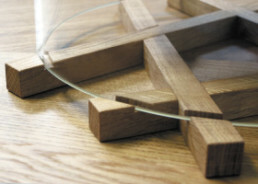 The product has received the DDC Gold, DesignPlus, GOOD DESIGN Award Athenaeum Museum Chicago, Well-Tech and FORM awards. 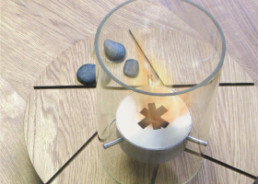 Fireplace is available in three sizes and can be customized with tasteful accessories.